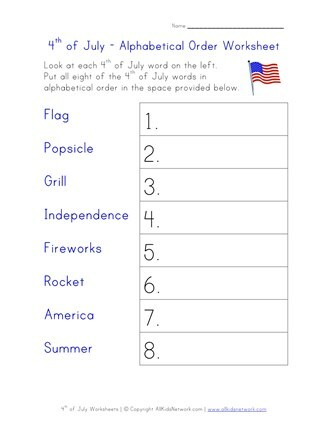 This 4th of July worksheet will help kids practice putting words in alphabetical order. Kids are asked to put the 4th of July related words on the page in alphabetical order in the numbered boxes provided. 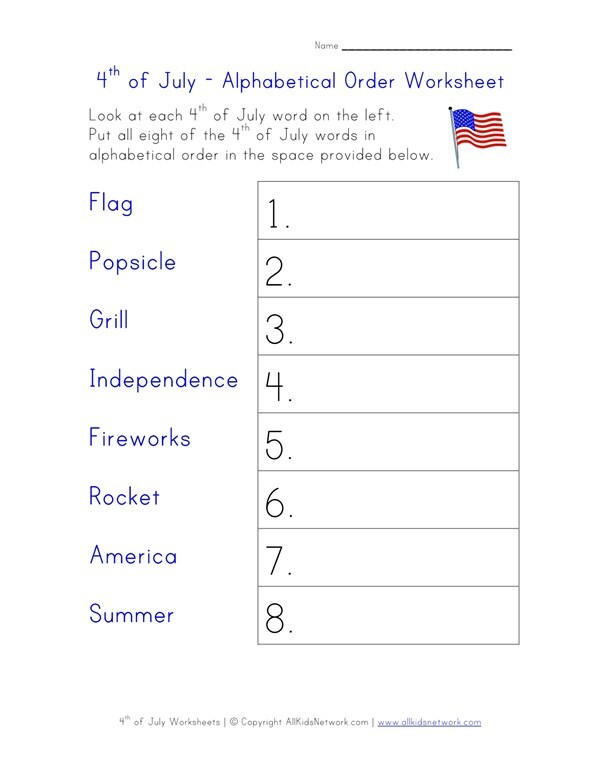 Print this worksheet out with the rest of our 4th of July worksheets to do with your kids!